An outfit worn on a Friday night. 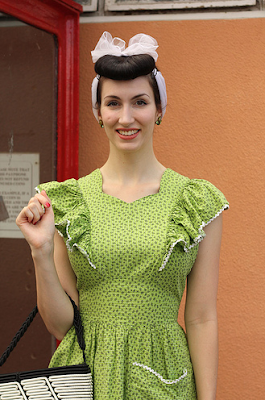 She is wearing a 1940s wrap dress. This is one of the prettiest vintage bathing suits I have ever seen!